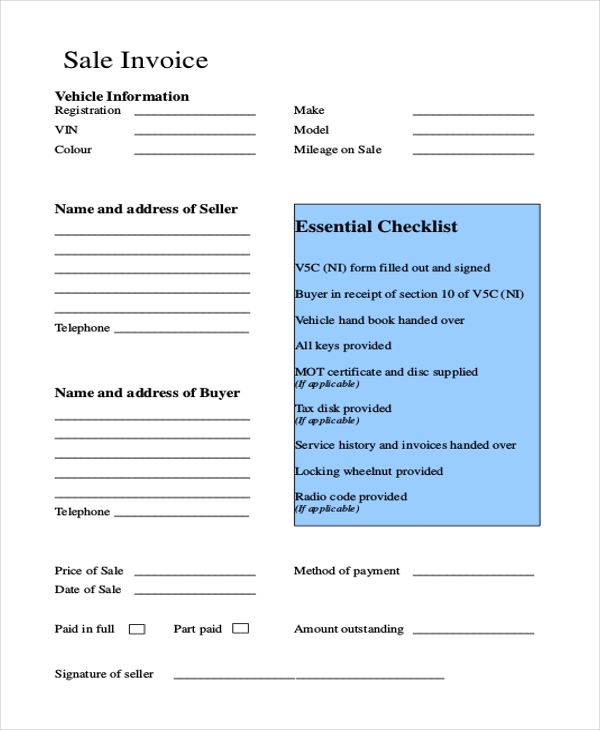 A vehicle dealer or showroom makes use of this form to list down the details of the vehicle sold along with any other services offered to the client. 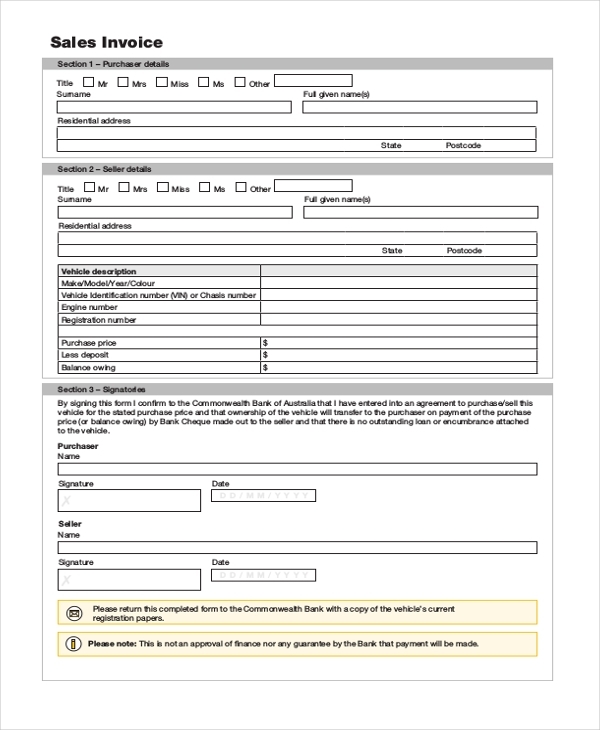 This form helps him to raise a claim for the amount that the client needs to pay. 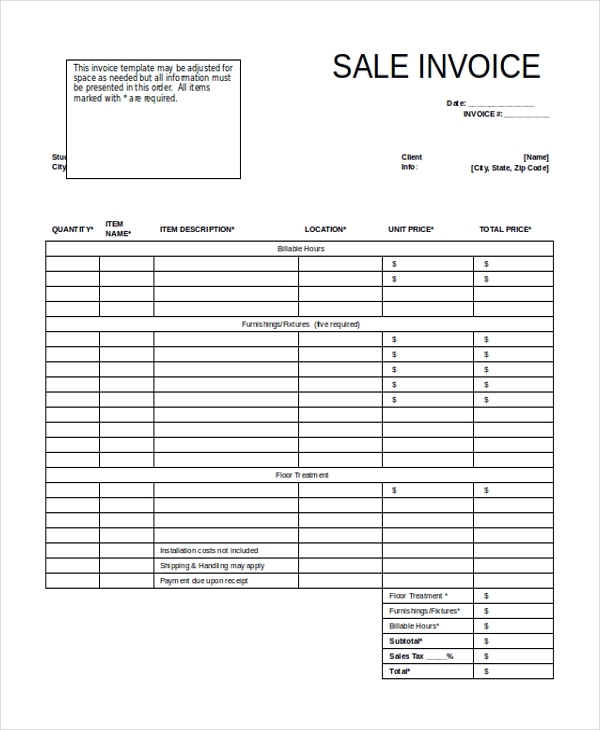 This is a blank invoice form and gives the user an idea of the parameters he should keep in mind while designing a sales invoice for his organization. The user can also use this form by making changes to it. 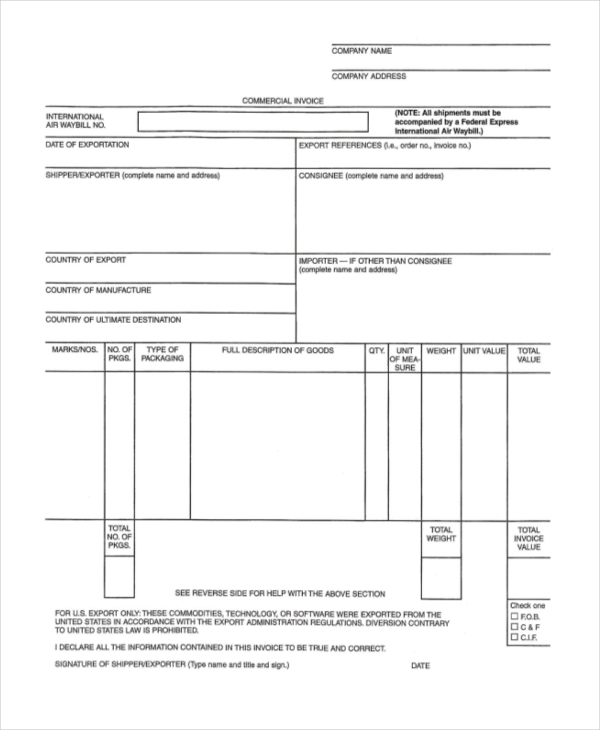 This form is used by a person or organization who wants to place an order with another organization for their products. The party uses this form to list down the details of the products required along with the quantity. Any person who needs help to design a sales invoice form but is working on a tight budget can use this sales invoice form that is free of cost. It comprises of all the important segments that should be included in such a form. 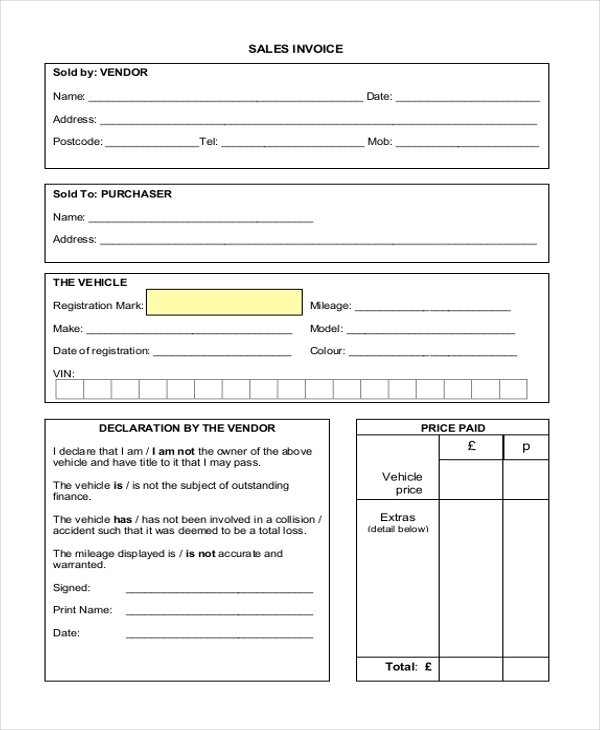 An automobile dealer uses this form to issue an invoice to the buyer. He lists down the details of the automobile in the invoice like a model, make, rate etc and other required accessories picked by the buyer. A tire manufacturing company or tire dealer uses this form to list down the details of the tires sold to a customer. This helps the seller to raise a claim for the amount that the buyer needs to pay. A company uses a company sales invoice to claim the amount payable by its clients for the various products that they may have bought from the company. The invoice elaborates the details of all the products sold. 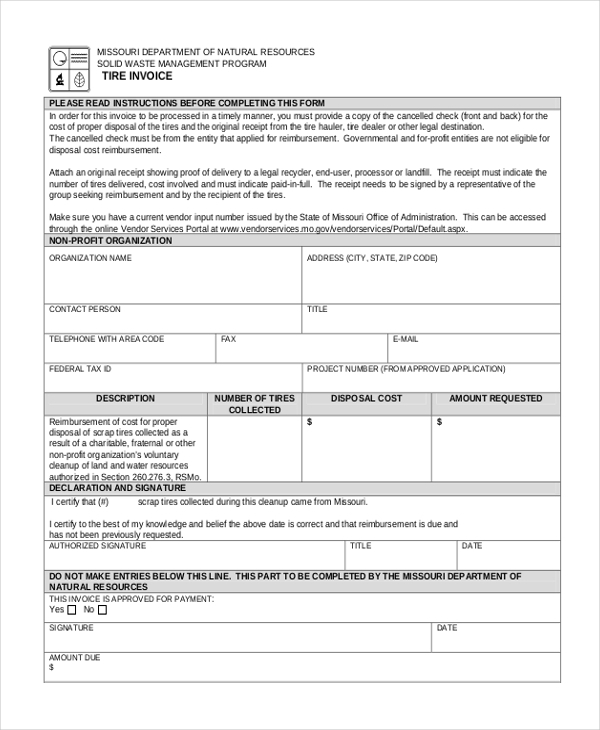 Any commercial service provider can use this commercial invoice form to list the service details offered to the customer along with the amount payable. This makes it easier for the buyer as well as a seller to close the transaction in an organized manner. What are the Benefits of Using Sales Invoice Forms? 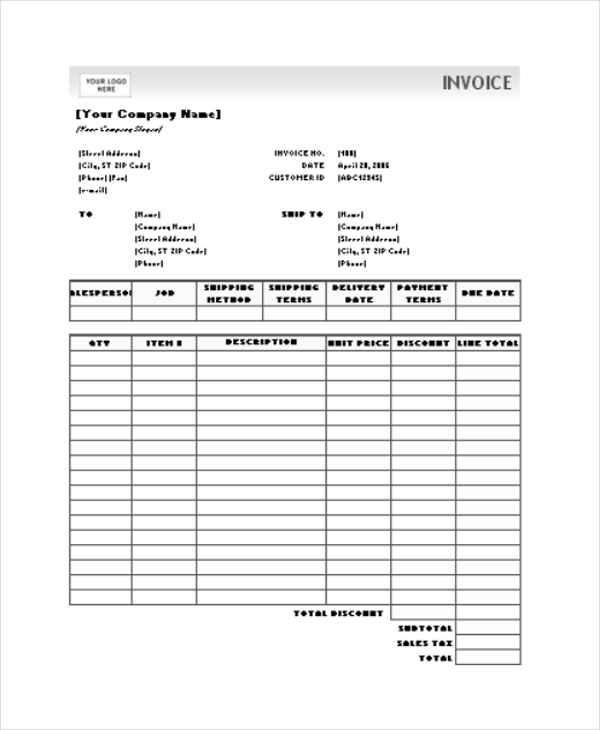 How to Format a Sales Invoice Form? At the top of the form, put in the logo and name of your company along with contact details. Follow this with a section where you can add the name of the customer and his details. Insert a table below this with enough rows and columns that would make it easy for you to list the products along with their details and to calculate the total amount. Below this, leave out some space for your signature and seal of the company. You may also see Sales Receipt Forms. 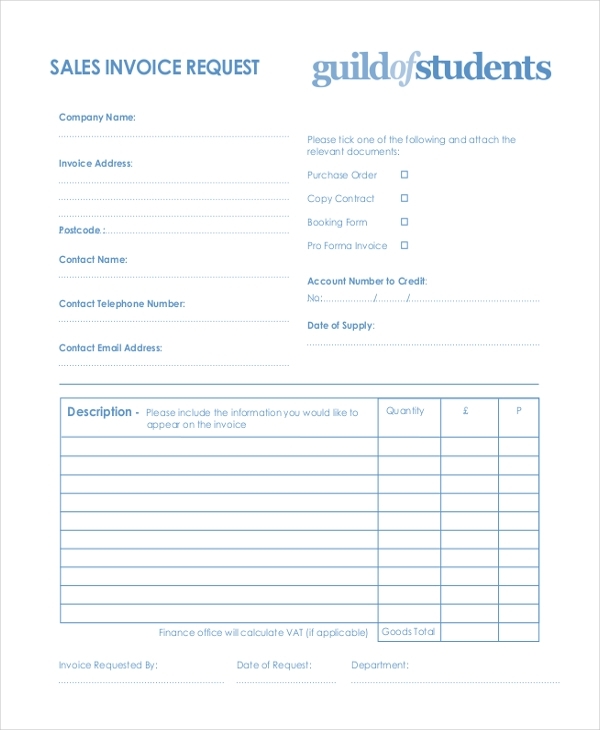 If you want to design a sales invoice form in a jiffy, making use of one of our sales invoice form templates would surely help you. The wide variety of these forms ensures that you can find the one that would be perfect for your organization. The best part is that these forms can be easily customized. You can also see Sales Order Forms.